Image: MJ Photos, David Fisher/Shutterstock. 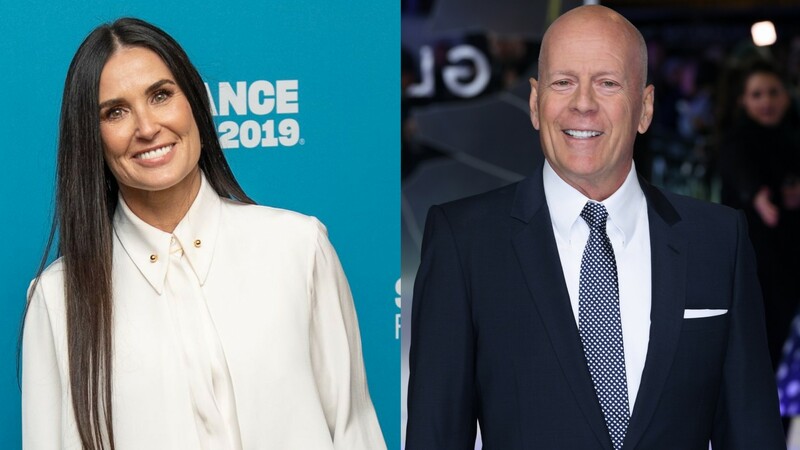 Demi Moore and Bruce Willis have always been the best of exes. And now we have even more proof these two still get along like a house on fire despite divorcing nearly 20 years ago. On Thursday, Moore attended Willis’ 10-year wedding anniversary party celebrating his marriage with second wife Emma Heming. Even better, photos posted to Heming’s Instagram show that at least two of Moore and Willis’ children, Rumer and Scout Willis, were also in attendance to help make this party all the more special. According to Entertainment Tonight, Moore was one of the select few invited to Willis and Heming’s vow renewal ceremony on March 21. The couple, who originally tied the knot in 2009, were joined by their daughters, Mabel, 6, and Evelyn, 4, as well as Moore, Rumer, Scout and other close friends. 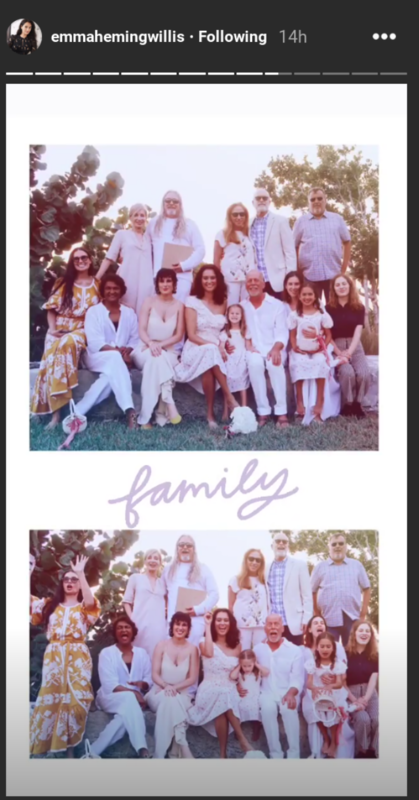 Heming shared photos from the dreamy, but undisclosed, ceremony venue on her Instagram Story, sharing a collage captioned “Family,” showing everyone — including Moore — gathered for a cute group portrait. Moore, who appears quite close and happy in the company, has maintained an amicable relationship with Willis since they split nearly two decades ago. Most recently, she got the chance to roast him as part of his Comedy Central roast, where she let loose anecdotes about being married to him and what kind of father he was to their three daughters when they were younger.